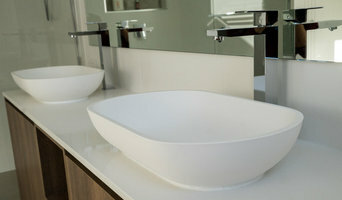 Australian owned and operated, Bathroomware House has been a trusted name in speciality bathroom products for over fifteen years, providing Australia with high quality bathroom products at affordable prices. This philosophy has become the cornerstone of our success and inspired our long-standing goal of providing customers with better bathrooms at better value; not only in price but service, warranties, education and design expertise as well as the highest level of product knowledge. As well as our original showroom in Brisbane, our extensive online store, complete with Australia-wide delivery, has expanded our retail offering to the rest of the country. 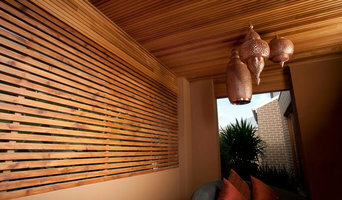 At Urbanline, we’re all about choice when it comes adding the warmth of timber to your designs. That’s why we offer real timber, plus composite hardwood and softwood building products. The timeless natural beauty of timber? Or the maintenance-free convenience of composite so convincing that you can’t tell the difference. The choice is yours. We supply to residential projects, as well as commercial and marine. Our products include: * Cladding * Decking * Screening * Panelling * Trims * Coatings * Manufacturing components Top 5 reasons to work with Urbanline 1. 27 years industry experience & highly personal service 2. Talented design team creating innovative solutions to suit your specific project 3. Easy access to a wide variety of materials through one, reliable supplier & project partner 4. Experience in projects of all sizes, including bespoke solutions that require specialised manufacturing 5. 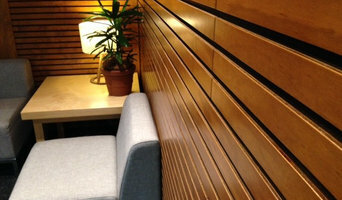 Sustainable choice: using GreenTag certification & eco-friendly options We'd love to have a chat about your ideas for using wood or composite in your project - give us a call today! Concrete Colour Systems (CCS) is one of Australia’s leading manufacturers of decorative concrete and coatings. CCS provides home owners, architects, designers and builders an extensive range of products that bring colour and life to concrete. Customers benefit from a diverse range of colour and resurfacing solutions that are formulated for both new and existing concrete substrates. CCS provides products that are suitable for both residential and commercial scale projects and has an extensive customer base, both within Australia and overseas. Backed by an ISO 9001 certified Quality Management System and an in-house NATA registered laboratory, CCS meets the highest industry standards. Kennedy’s is proud to be a family business. As a team of passionate timber specialists, we have been supplying recycled and eco sustainable timber to the commercial and residential building industry since 1995. 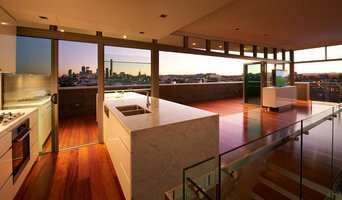 Recognized as a leading supplier of Australian timber, we source and supply only the very best. Hendra Hardware continues to provide a unique service for professional tradesman and DIY enthusiasts across Brisbane and its northern suburbs. MJ Ferguson Group is an innovative maintenance, refurbishment and new build contractor in both the residential and commercial sectors. We guarantee excellence, inspiration, originality and a uniquely personal approach. We care about our clients, our team and the impact we have on the environment. Safe at Heights offers a unique range of services. 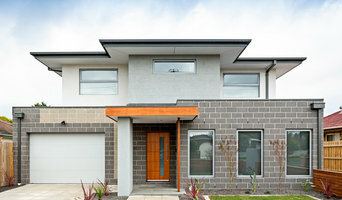 They hold a QBCC licence for both Building/carpentry and Structural Steel fabrication and erection. Baustoffhändler beraten Sie, welches Baumaterial für Ihr Vorhaben in Frage kommt und erläutern Ihnen deren Vor- und Nachteile. Allein im Bereich der Betonsteine und Dachziegel gibt es unzählige Herstellungsverfahren und Formen. Wollen Sie mit Holz bauen, muss die optimale Holzart und Imprägnierung ausgesucht werden. Haben Sie sich entschieden, nennt der Fachhändler die Firmen und Lieferanten. Experten aus dem Bau- und Holzfachhandel kennt den Markt genau, sodass Sie keine überhöhten Preise zahlen. Im Branchenbuch oder im Internet können Sie gezielt nach Herstellern und Händlern für Holzwerkstoffe, Betonplatten oder historische Bauelemente in Taigum, QLD, AU suchen und vor der Auftragsvergabe die Bewertungen anderer Bauherren studieren. Verfeinern Sie Ihre Suche auf der Experten-Seite gezielt nach Adressen für Baustoffhandel in Taigum, QLD, AU. Durchstöbern Sie die verschiedenen Firmenprofile und lesen Sie Bewertungen anderer Kunden. Kontaktieren Sie Ihren Wunsch-Experten, um weitere Infos zu erhalten.